A 2020 XL Specialized XL110 HDG 55 ton lowboy trailer is available now in Manchester, IA. 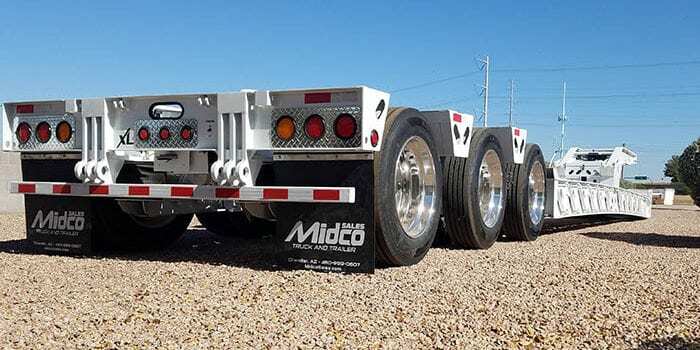 It will soon be transported to Midco Sales’ dealership in Arizona so, if you’re looking for a lowboy in the Iowa area, call Midco Sales’ sales office at (480) 999-0607 now. 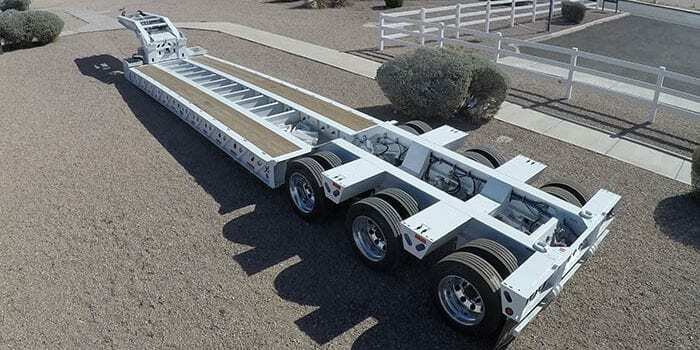 This heavy haul trailer measures 53 feet long with a 26 foot main deck. Swing-out outriggers allow for the transporting of larger machinery. D-rings and chain drops provide load control options. The hydraulic detachable gooseneck has five variable ride height positions and features a 13 horsepower Honda power unit with steel cover. This lowboy rolls on 22.5 tires, polished aluminum wheels and a tri-axle air ride suspension system. The third axle has an air lift to raise the tires off the ground when not needed.